Cause of his death was typhoid fever. Another name for Benjamin was "Frank." At the age of six, Benjamin watched as his father was buried. Though fatherless, his mother quickly remarried and so Benjamin and his siblings were not without a father figure. At the age of twenty-one, he came upon his inheritance, but the following year he experienced yet another tragedy. His older brother James, aged twenty-four, lost his life to a horrible farm accident. As the only remaining son of Ira, with the exception of his half brother Levi who was already established, Benjamin took over the responsibilities of the farm and cared for his aged mother. In 1865, he married Catherine Frances Wiswell, a woman of strong character and reputation. They had seven children together, all born in Onarga. The second child, a son, died in infancy. Between 1870 and 1871, Benjamin increased the value of his estate with the purchase of 120 acres of land. 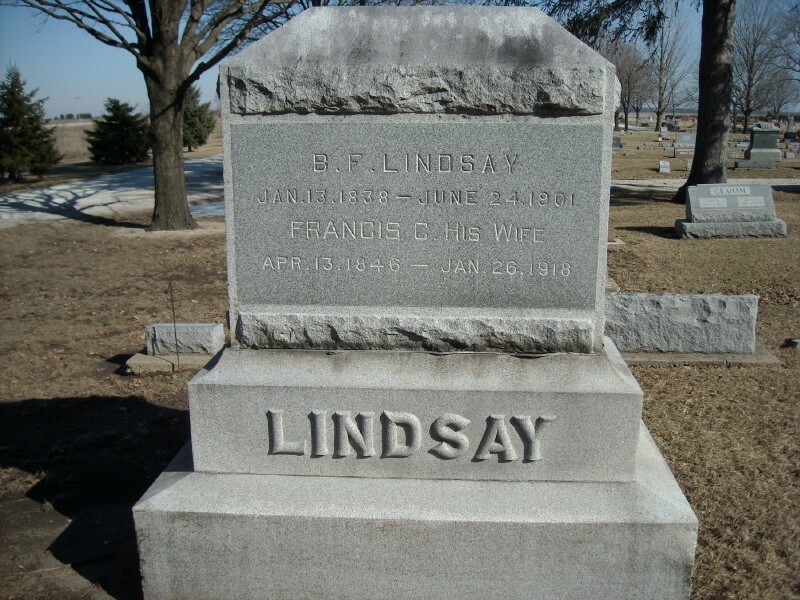 "Frank" and "Fanny", as they were commonly known, spent thirty-six years together, but it is said by family that Frank was austere and often at odds with his wife and children. Family has said that other than for appearances sake, he and Catharine didn't stay in the same house much. Some say Benjamin was misunderstood. He was called "a born controversialist and loved controversy more than his food." No doubt, his lack of toleration for and outright disbelief in established religion caused friction with his Christian wife, as did his intolerance for women's rights. Benjamin was an atheist and used to rant to passer-bys on their way to church that they were wasting their time. In addition, his disbelief in women's rights was probably a source of strain with his eldest daughter, Alice Lois, who studied and went on to become a successful doctor --- a rare thing for a woman at the turn of the century. Nevertheless, his children were dear to him, and "on his deathbed, he called them one by one and kissed and embraced them and bade them a tender and affectionate farewell." Benjamin Franklin died of typhoid fever in 1901. At the end of his journey, he said, "O, I am so tired. I must get rest and sleep tonight." He willed all property to his wife with instruction that all inheritance be equally divided amongst the six surviving children once twenty-one years of age. Benjamin Franklin is buried alongside his wife in Onarga Cemetery. • He appeared on the census in 1850 in Onarga, Iroquois County, Illinois. He lived in the household of Lemuel Boyd. • He appeared on the census in 1860 in Onarga, Iroquois County, Illinois. He lived in the household of his mother. 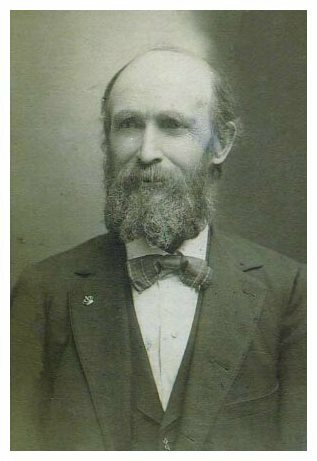 • He appeared on the census in 1870 in Onarga, Iroquois County, Illinois. Real estate valued at $18,000. Personal estate valued at $3000. • He appeared on the census in 1880 in Onarga, Iroquois County, Illinois. 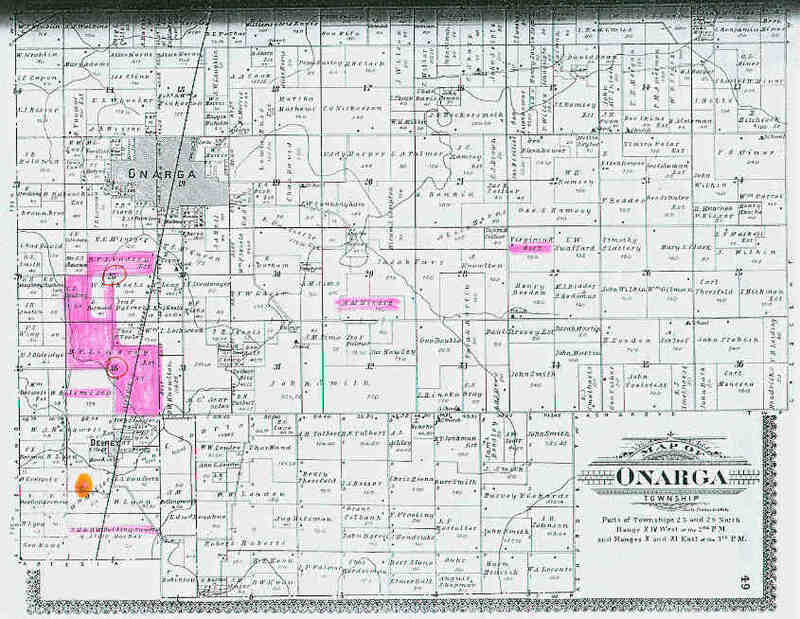 • He appeared on the census in 1900 in Onarga, Iroquois County, Illinois. • He worked as a farmer and landlord. • He was an athiest. • He owned property in Onarga, Iroquois County, Illinois. Benjamin married Catherine Frances Wiswell, daughter of Eugene Mason Wiswell and Elvira Bradshaw, 28 March 1865 in Jacksonville, Morgan County, Illinois 24.,71 (Catherine Frances Wiswell was born 13 April 1846 in (near) Concord, Morgan County, Illinois,75,76,77 died 26 January 1918 in Onarga, Iroquois County, Illinois 75,77,78 and was buried 29 January 1918 in Onarga, Iroquois County, Illinois at Onarga Cemetery 75,77,78.) The cause of her death was heart disease. Fannie suffered from high blood pressure.